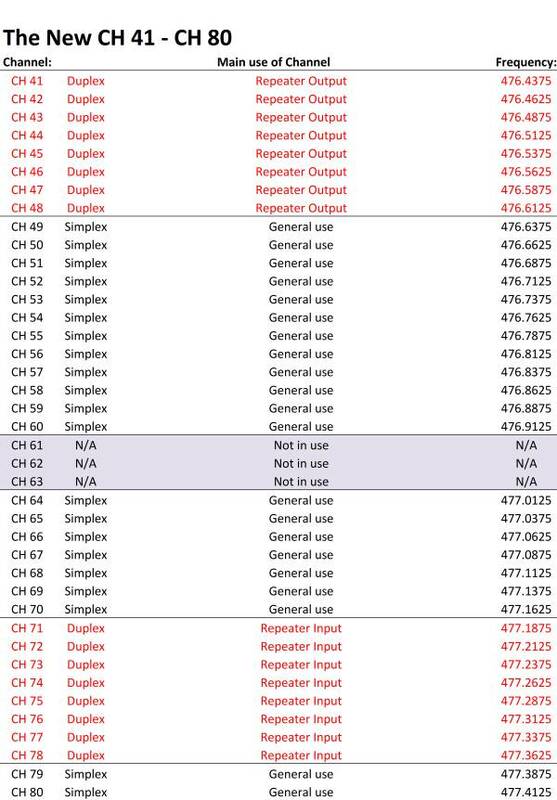 Below is a Chart for all current UHF CB Channels being used in Australia. 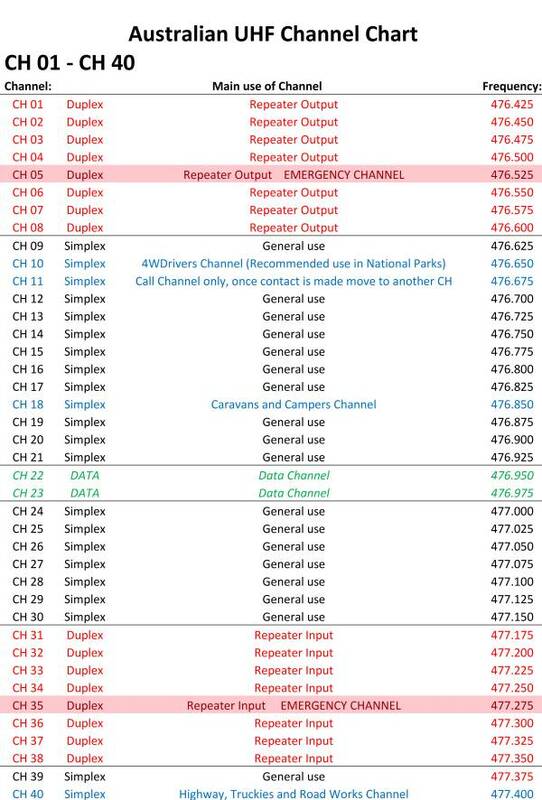 The Chart details every UHF channels main use. Please note the importance of NOT using channel 5 & 35 unless of an emergency, and if abused human life could be at risk due to interference. Also fines in Australia are very high for improper use of (CH 05 & CH 35) the emergency UHF channels. For explanation on Simplex & Duplex UHF Channels please see this link. As you will see below the main uses for each channel is a general purpose Australia wide. Leave CB Channels And Go To 4 Wheeling In Western Australia.